Why should we believe that Jesus Christ is human? – When did you last feel fully alive? Why should we believe that Jesus Christ is human? Both the full humanity and deity of Jesus are inseparable from Christianity and our hope of Salvation through Him. All but one reference to the name Son of Man (more than eighty) are said by Jesus. This was His favourite way of referring to Himself; He demonstrated that He gladly and frequently identified Himself with lowly humans, the ones He created and came to save. Only a human can die in the place of another human, it qualified Jesus to die in our place for our sin (Hebrews 2 v 17). In addition, He is sympathetic to what it means to be human (Hebrews 4 vv 14, 15). Jesus shows what God intended us to be as His image-bearers; Jesus’ humanity is a perfect one, untouched by sin. 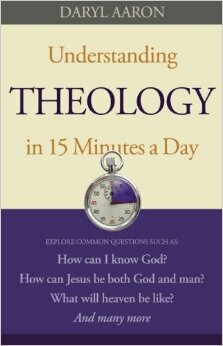 Condensed from Understanding Theology by Daryl Aaron. Previous PostPrevious What is my Frontline and why does it matter?